In addition to providing safety for you and your family, your front door can also make or break the overall curb appeal of your property. Whilst there is a wide range of options to choose from when it comes to selecting the perfect door, we have compiled a few tips to make the process easier for you. Being the centrepiece of your home’s exterior design, choosing your front door is considered a major home improvement. This does not mean you have to break the bank as long as your allocated budget is accompanied by careful planning and decision making. Adaptability to weather conditions – thanks to the continuous rise in technology, you can now choose a front door that helps you stay cool in the summer and cosy in the winter. Energy efficiency provider – if you want to boost your property’s value, select a door with a stunning exterior incorporating energy efficiency qualities. Protection from UV rays – there are front doors that are specifically built to provide ultraviolet light protection, which is the perfect solution to preserve your furniture, fabrics or carpets. UPVc, composite, real wood or timber alternative, selecting the material of your choice will dictate your front door’s attributes. This includes the cost, durability, appearance and maintenance requirements. Apart from reflecting your personal taste and preference, your front door should also fit in architecturally with the rest of your home. Remember, you have a vast array of choices, so don’t be afraid to express yourself. If you are still hesitant about making the big decision and need to seek help from professionals, Orchard Windows are here to help. We are one of the leading home improvement companies and a leading door supplier in Stamford. 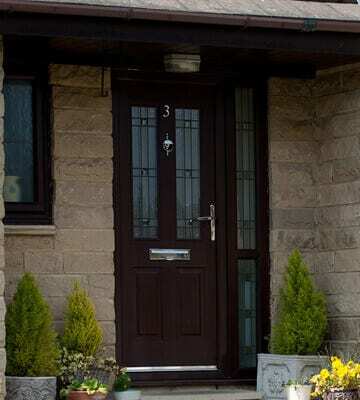 We strongly believe that every one of clients deserves the best, which is why we provide entrance doors of the highest quality available in a range of designs and finishes to suit your style and taste. Let us know about your project by sending us a message here.